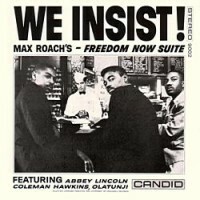 This is a timeless masterpiece that was recorded as the new Civil Rights movement was gathering pace. 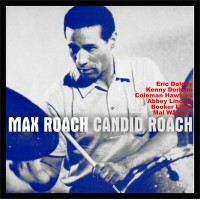 Max Roach created this bold statement focussed on civil injustices in black history ranging from slavery to contemporary racial prejudices. Max drives the whole epic relentlessly and jazz giants Coleman Hawkins, Booker Little and Julian Priestler are all an integral part of the story, backing up a monumental and emotive performance by vocalist Abbey Lincoln. Coleman Hawkins who plays the male counterpart to Abbey Lincoln, was so intrigued by the project he stayed for the entire session. Lincoln's surging performance on Freedom Now.